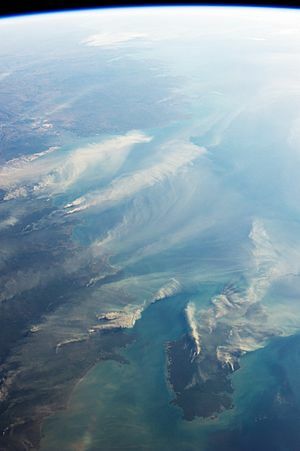 The capital and largest city is Darwin. 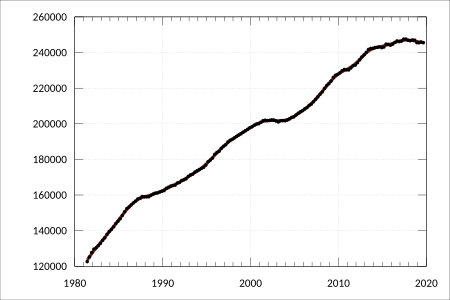 The population is not concentrated in coastal regions but rather along the Stuart Highway. 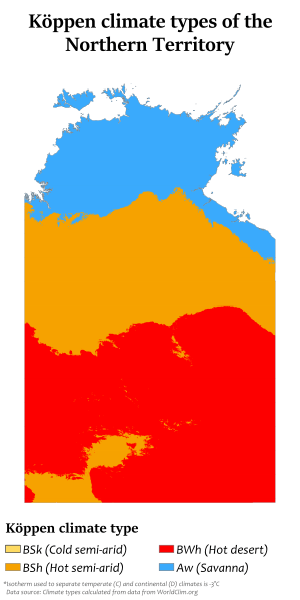 The other major settlements are (in order of size) Palmerston, Alice Springs, Katherine, Nhulunbuy, and Tennant Creek. 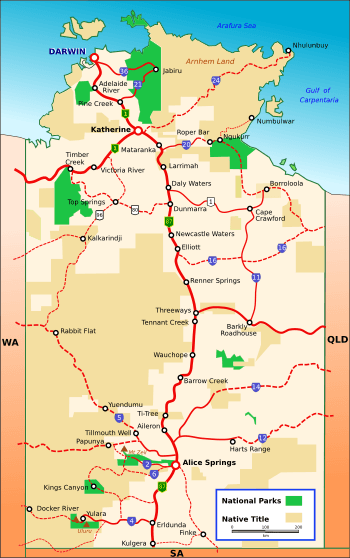 Residents of the Northern Territory are often known simply as "Territorians" and fully as "Northern Territorians", or more informally as "Top Enders" and "Centralians". 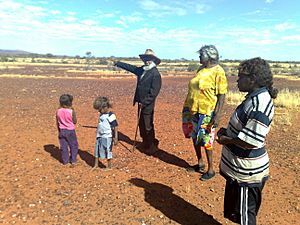 A local Aborigine named Tjuki tells a dreaming story about Manpi. 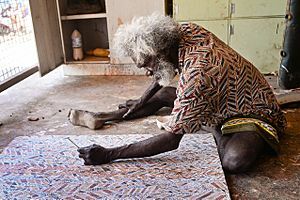 Storytelling and oral traditions are an integral part of Aboriginal mythology which is practiced by Indigenous Australians throughout the Northern Territory. The Northern Territory is one of the few remaining places in the world with no speed restrictions on select public roads. On 1 January 2007 a default speed limit of 110 km/h was introduced on roads outside of urban areas (Inside urban areas of 40, 50 or 60 km/h). Speeds of up to 130 km/h are permitted on some major highways, such as the Stuart Highway. On 1 February 2014, the speed limit was removed on a 204 km portion of the Stuart Highway for a one-year trial period. 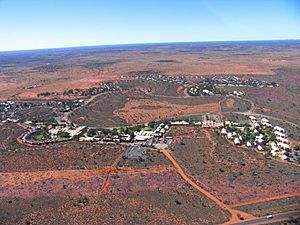 There have been several programmes/strategies implemented that highlight the need for an upgrade of the telecommunications infrastructure in the Northern Territory to provide high speed broadband technologies to all residents—especially for the disadvantaged Indigenous residents of remote communities. One such the programme was undertaken by Perry Morrison and published in Urban Studies in 2000. 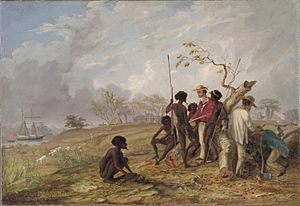 It was entitled "A Pilot Implementation of Internet Access for Remote Aboriginal Communities in the "Top End" of Australia. Which involved implementing an internet and email access programmes, to the four remote aboriginal communities of Milikapiti, Port Keats (Karudu Numida), Titjikala and Pirlangimpi. The overall project was a success; however it did expose some areas of concern, such as the lack line of quality in numerous communities throughout the territory. This resulted in an inability to provide internet services to these communities. An upgrade in telecommunications infrastructure was thought to be the answer to resolve this issue. A letter was sent to the Australian House of Representatives Communications, Information Technologies and the Arts Committee by Minister of Corporate and Information Services by Peter Toyne on 18 June 2002, enquiring into the opportunity of providing wireless technology to all Territorians. The letter highlighted the high cost of expanding the existing terrestrial broadband infrastructure (particularly in remote areas) and compared it to the fast and cheaper alternative of a wireless network. However, to be consider viable the wireless technology would have to be proven to be reliable and affordable to all Australians. 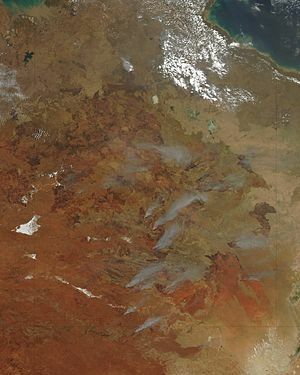 Equitable access: by delivering broadband services to remote communities, at the same cost of (within two years of introduction) the same Broadband services being provided in urban areas of Australia, and by developing infrastructure in one hundred and twenty remote communities throughout the Northern Territory. To provide quality large capacity telecommunication services to these areas over the five year period from 2003 to 2008. Driving Demand: By providing education on consumer rights and responsibilities to the indigenous residents of remote communities. 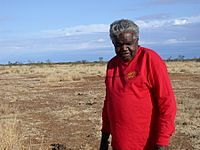 Targeting the indigenous residents of these remote communities by providing culturally appropriate content and applications. Also by improving private sector and government services to these remote communities. Partnerships: Securing funding Territory wide to provide solutions to telecommunication infrastructure. Collaborating with indigenous organisations to develop, culturally appropriate content and applications, which will be utilised in the remote communities. Efficient Delivery: Reducing the telecommunications cost to government, by forming agreements with local and remote community councils. Combining their access and demand needs to provide affordable telecommunication services. Community Delivery: By supplying constant assistance in the remote communities by way of an entity or organisation, that assists the residents of the communities with any problems or issues. 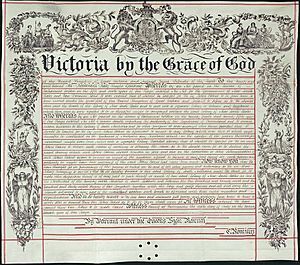 This entity or organisation could also liaise with the government, private sector and telecommunications organisations. 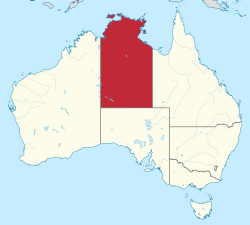 Northern Territory Facts for Kids. Kiddle Encyclopedia.